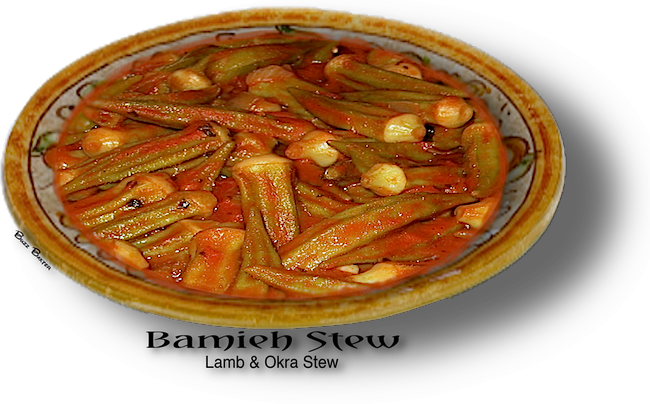 A delicious stew that combines Lamb and/or beef with okra, garlic and tomatoes to make one of the Middle East's most favorite comfort food. If you like lamb, by all means, use only lamb in this dish and the same goes for beef. I like to use a combination of both. Many do not like okra because it has a tendency to get slimy if not prepared or cooked correctly. The secret...do not overcook so that the okra falls apart and the insides when overcook will get slimy. This goes for cutting the okra up as well. Just remember to: Keep it whole and don't overcook. You will have great okra stew. 2. Add the onion and garlic and sauté another 5 minutes. simmer and let it cook for about 45 minutes (until the meat is tender), stirring occasionally. 5. This is delicious eaten by itself as a stew, or spooned on top of rice pilaf and eaten that way. If you use too many spices with okra,  you run the risk of losing the unique taste that only okra alone can impart.